An ejection fraction (EF) is a measurement of the percentage of blood the heart pumps out with each beat. It diagnoses heart failure and other heart diseases, such as cardiomyopathy. Certain symptoms can result from a low EF, and there are a variety of treatments if this is the case. Here’s a look at what an EF is, and the symptoms and treatments for a low EF. What is an Ejection Fraction? To understand how an ejection fraction is useful, it is first necessary to understand how the heart works. The heart is composed of two atriums (on top) and two ventricles (underneath). Blood depleted of nutrients and oxygen goes into the right atrium, then down to the right ventricle, and next into the lungs. In the lungs, the blood is refilled with oxygen before returning to the heart where it enters into the left atria and then the left ventricle. Renewed of nutrients and oxygen, blood is sent back around the body to replenish all the organs and muscles. Each relaxation fills the ventricles; during each contraction, the ventricles empty. However, they can never be completely empty. An ejection fraction is the measurement of exactly how much blood ventricles can get rid of. EF is generally measured in the left ventricle, which is the ventricle particularly necessary to send blood to the body. According to Barnes-Jewish Hospital, a normal heart has an EF of 50-75%. Less than 50% suggests that the heart is damaged or weak, and may not be meeting your body’s needs. 36-49% is considered below normal, and less than 35% is a low EF. As this level falls, it can be a suggestion of a worsening of heart failure. 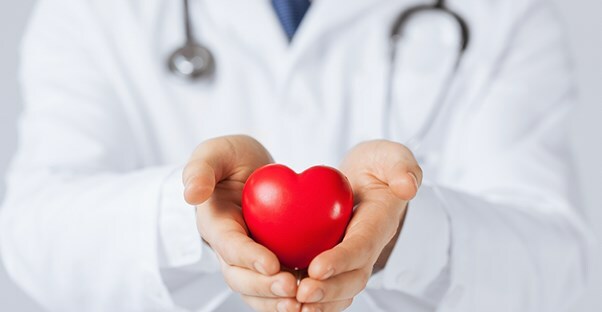 Other cardiovascular issues that can contribute to EF include cardiomyopathy, untreated high blood pressure, damage from a heart attack, or valve issues. A low ejection fraction may make it difficult to breathe, which can interfere with your ability to exercise. Since your blood isn’t pumping as well as it should, your legs and ankles may swell because those blood vessels can’t get the fluids back up to the heart. Other symptoms may include fatigue, a general sense of weakness, nausea, a lack of mental clarity, and abdominal swelling or pain. Your heart beat may develop an abnormal rhythm, beating very fast or very irregularly. Symptoms of a low EF often go hand in hand with heart failure: fluid in the lungs, heart enlargement, organ failure, or weight gain as a result of fluid retention. Treating a low EF does not equate to curing a low EF. It is possible, however, to relieve symptoms and increase the quality of life -- and even extend the length of life. The most effective of these, particularly if cardiovascular problems are caught early on, include lifestyle changes. Eating a heart-healthy diet, maintaining a healthy weight, and getting appropriate exercise (this may be very minimal if your EF is very low and heart failure is advanced) can all be extremely successful. It is also important to avoid tobacco and alcohol and to maintain calmness as much as possible (anger and anxiety have been found to increase the risk of cardiovascular damage). Depending on any underlying diseases and your particular needs, certain medications may provide relief. Inotropes can help alleviate symptoms by encouraging the heart to contract better. Angiotensin II receptor blockers relieve stress on the heart and can be helpful for both heart disease and diabetes. Beta blockers, on the other hand, keep the heart from contracting too rapidly. Many people find some procedures extremely successful and beneficial. Gene therapy is still in the early stages, but ventricular assist devices (VADs) can be implanted to help the ventricles pump more effectively. One of the most successful means of controlling a low ejection fraction is an implantable defibrillator (ICD). An ICD keeps an eye on the heart’s rhythms and automatically corrects them if something is amiss. A combination of these treatments is generally the most effective means of treatment. If you suspect you have a low EF, talk to your doctor as soon as possible.